Sambucus Lozenge / 30 Lozenges - Nature's Way®. For centuries the dark berries of European black elder (Sambucus nigra L.) have been traditionally used as a winter remedy for immune support*. 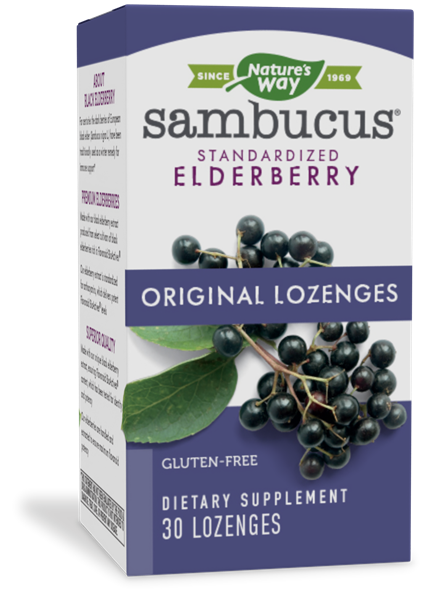 Nature's Way® Bioavailable Sambucus is the full-spectrum black elderberry extract.